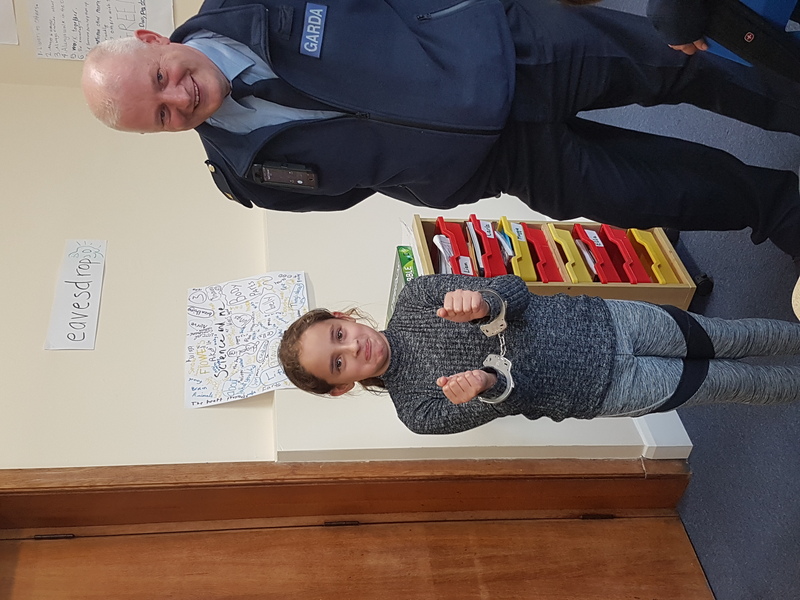 On the 24th of October were all visited by Gardaí from Dundrum. Their names were Ivan and Linda. They taught us about Halloween safety. They showed some awesome gadgets. They also told us how important it is to stay away from fireworks. We also got to hold their handcuffs, they felt so cool. They told us about the crimes they solved (they were awesome). They also showed us their badges. They had amazing uniforms and they told us about the numbers on their uniforms. They told us how they use their gadgets and that amazing stuff. We saw their Garda car on the way out of school. We feel grateful for them coming over. We hope to see them again. We had a BLAST!